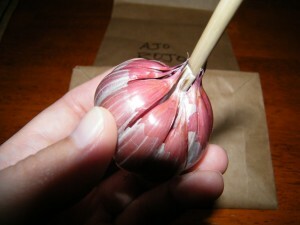 Ajo Rojo is a distinctive Creole garlic with large bulbs and a vibrant red color — thus the name Ajo Rojo. Creoles do well in warm climates and can tolerate a wide range of growing conditions, with the taste and color changling slightly depending on conditions during the growing season. Ajo Rojo garlic is one of the hotter Creole garlics as far as taste when eaten raw but develops a much milder, creamier flavor when baked. It is a relative newcomer to the U.S., rumored to have been brought to the country from Spain in the 1990s by a collector. 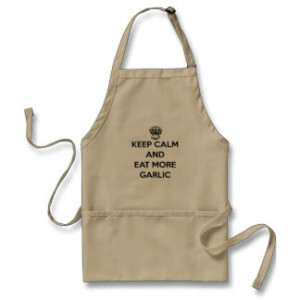 Creole garlics can be more difficult to find than some other types due to their preference for warmer climates. Many large scale gourmet garlic growers are located in the northern U.S. and Canada so Creoles such as Ajo Rojo aren’t grown and sold as commonly as some other types such as Rocamboles and Porcelains. For those growing garlic in Zone 7 or higher, Creoles such as Creole Red or Ajo Rojo may be your best bet as far as a consistent garlic that does well year after year even as the temperature soars.